where your needs come first and healing begins! Hello there! 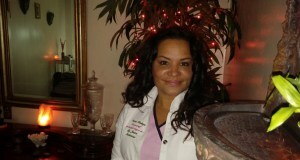 My name is Jessica Merced, licensed Aesthetician, and your partner on this journey. I have been in the beauty business for over ten years and a seeker of relaxation for many more. At Facial Healings by Jessica, my combined love of service to people and years of knowledge and experience in providing professional care is delivered to YOU in a tranquil and relaxing environment. I am about helping YOU take the time to love yourself. People tend to hold their stress in the head and face. Since I enjoy a soothing and relaxing scalp and facial massage, I’ve incorporated that into my facials as part of your road to healing. Unsightly skin tags can generate all kinds of unhealthy feelings. So, I help bring relief by providing skin tag removals. Releasing tension, stress, and negative self images helps you heal. How can I help you today?